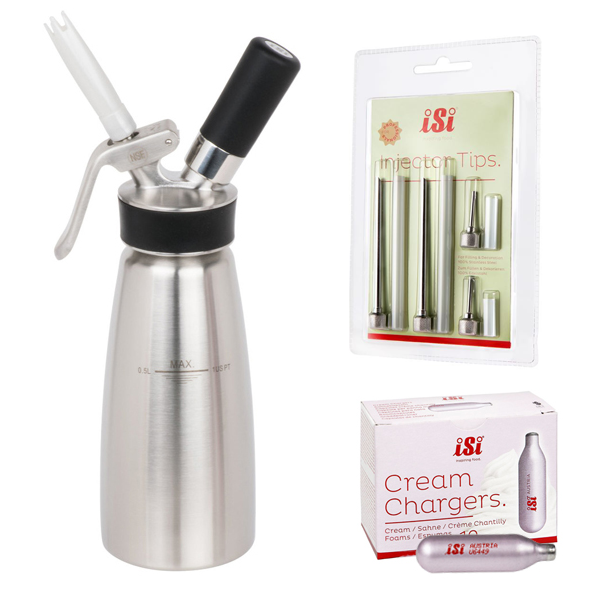 This Chef’s Choice Combo features iSi Profi Whip Plus, 20 iSi cream chargers and the iSi stainless steel injector needles set of 4. 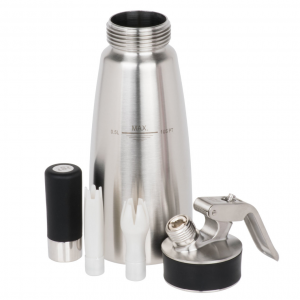 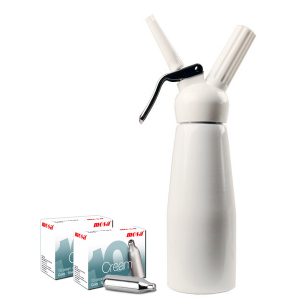 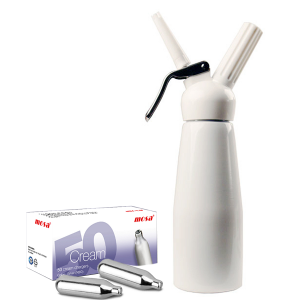 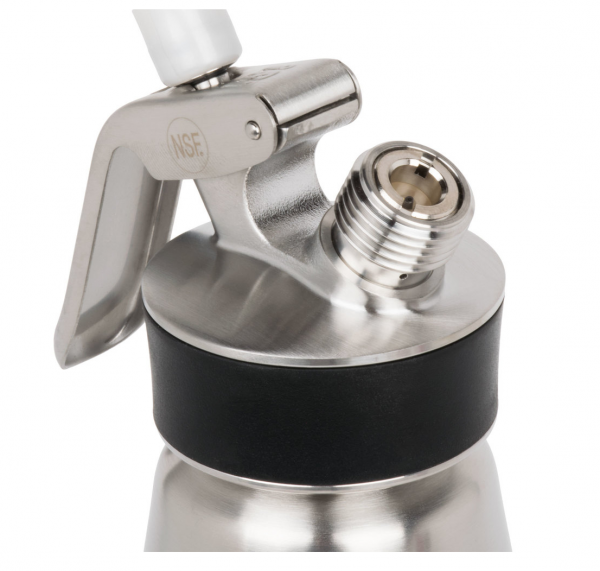 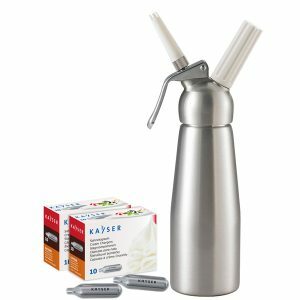 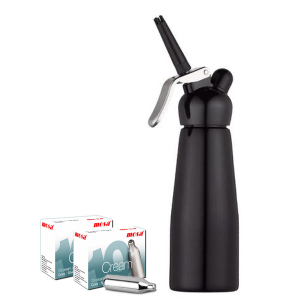 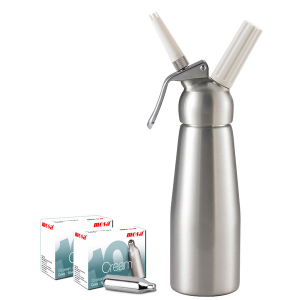 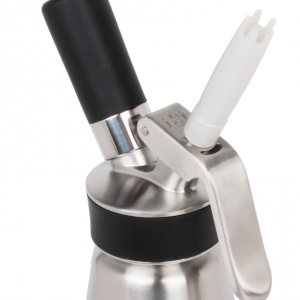 This Chef’s Choice combo features the highly desired iSi 0.5L Profi Whip Plus, 20 iSi cream chargers and the iSi stainless steel injector tips set of 4. 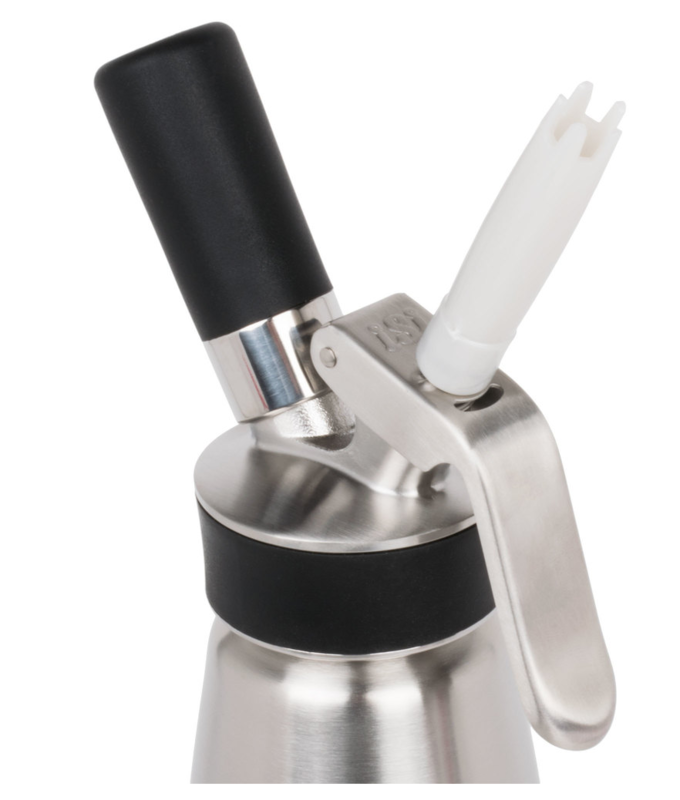 Starbucks exclusively. 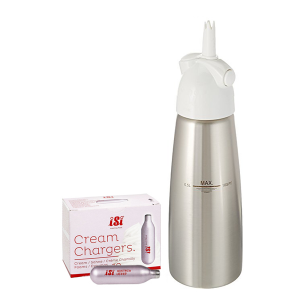 Featuring 100 percent stainless head and body, a rugged steel charger holder, head with protective silicone grip and removable stainless steel valve for easy cleaning. 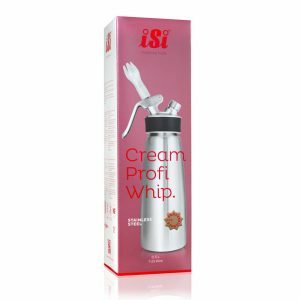 The iSi Cream Profi is NSF certified and meets HACCP requirements and a 2 year warranty is provided and honoured by iSi North America. 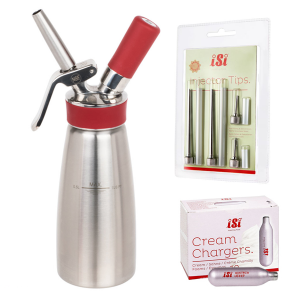 iSi has been producing cream whippers for over 50 years; the quality, integrity, and attention to detail is reflected in all of their products. 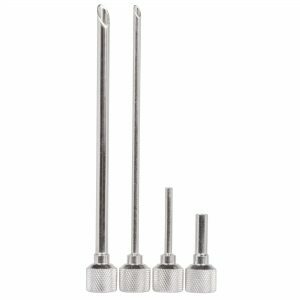 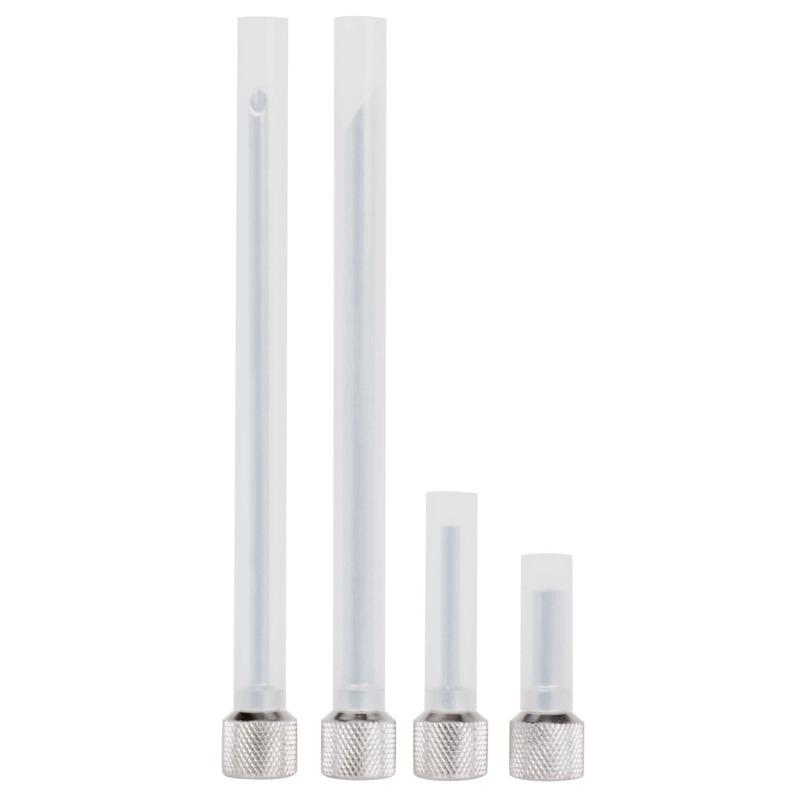 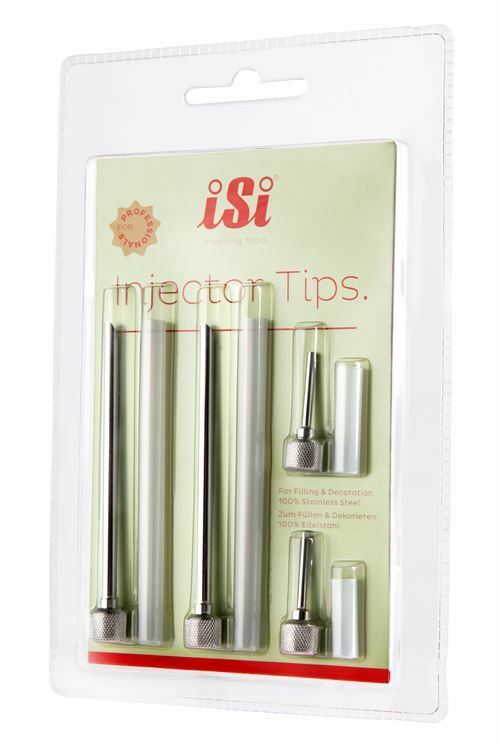 This is compatible with all of the iSi accessories including the injector needles, the iSi stainless nozzle, and the silicone tips and gasket. With a 100 percent stainless steel head, this cream whipper is dishwasher safe (however we suggest you hand wash). 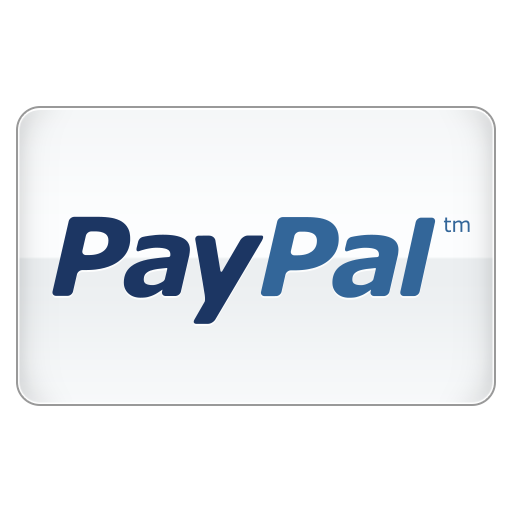 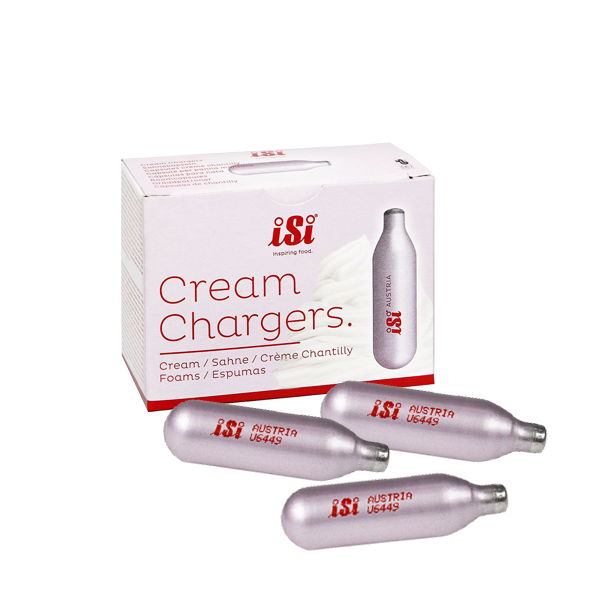 This unit typically will require just one charger to operate, and all of the chargers on our site are compatible. 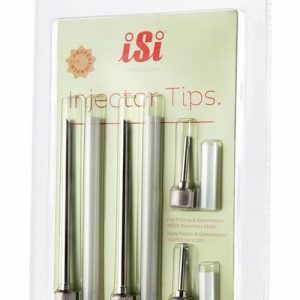 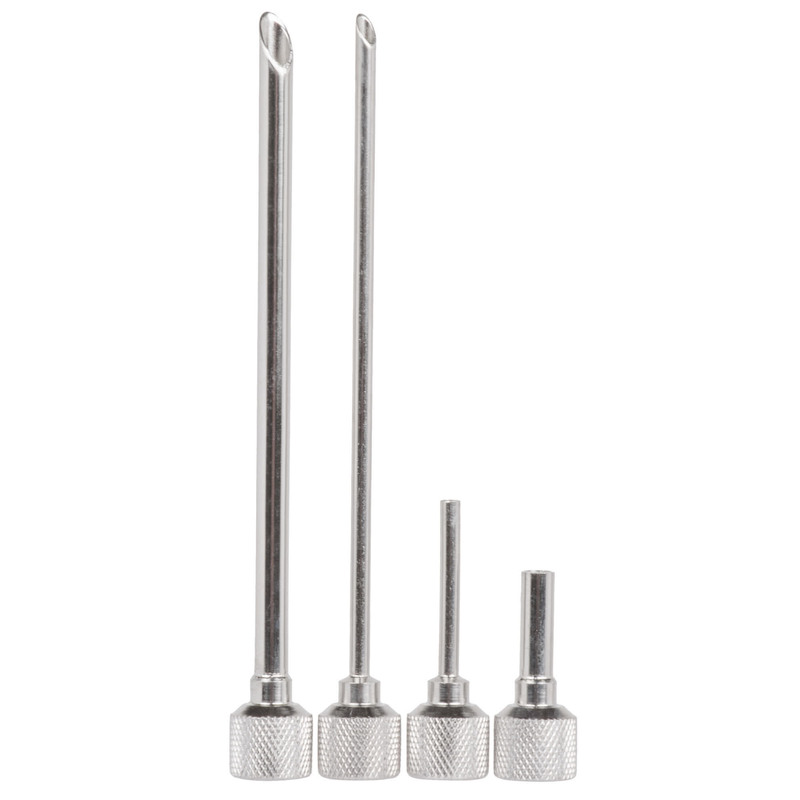 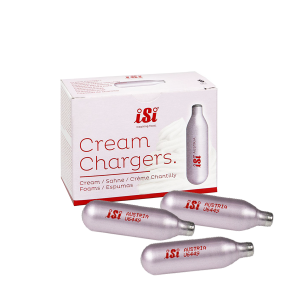 The iSi set of 4 Injector needles are a perfect complement to iSi whipped cream series. 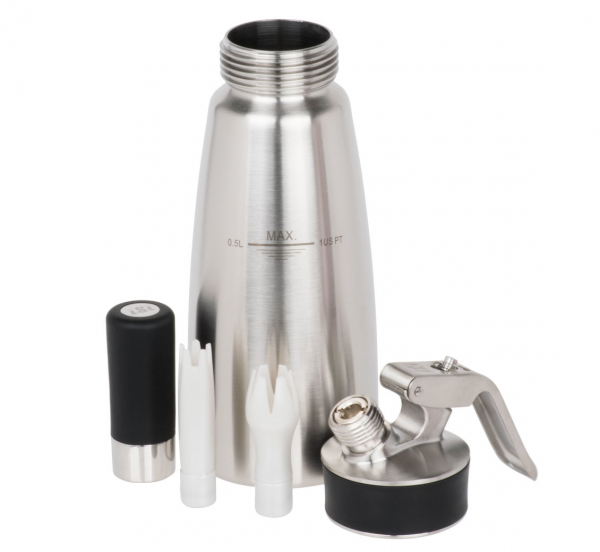 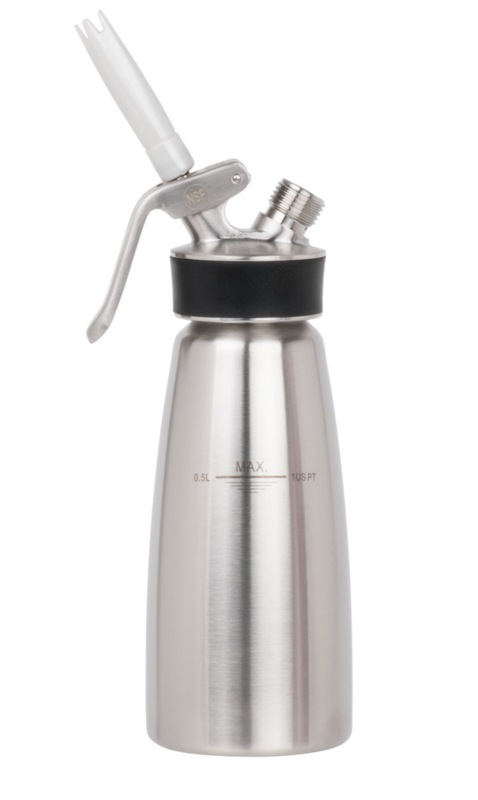 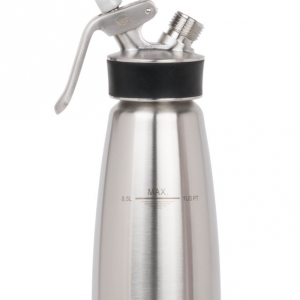 Made of 100% stainless steel and is dishwasher safe. 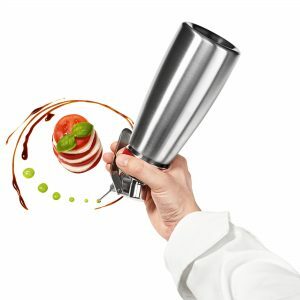 These very handy accessories can be used for many applications and will bring ease, creativity and aesthetics to your cooking! 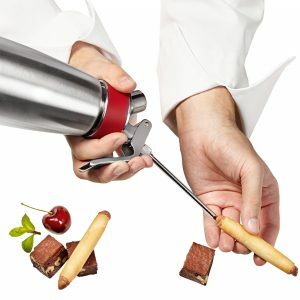 Great for injecting desserts such as puff pastries, doughnuts, cream puffs and doughnuts as well as Injecting chicken, fish, beef, lamb with marinades and tenderizing for a juicy flavour. 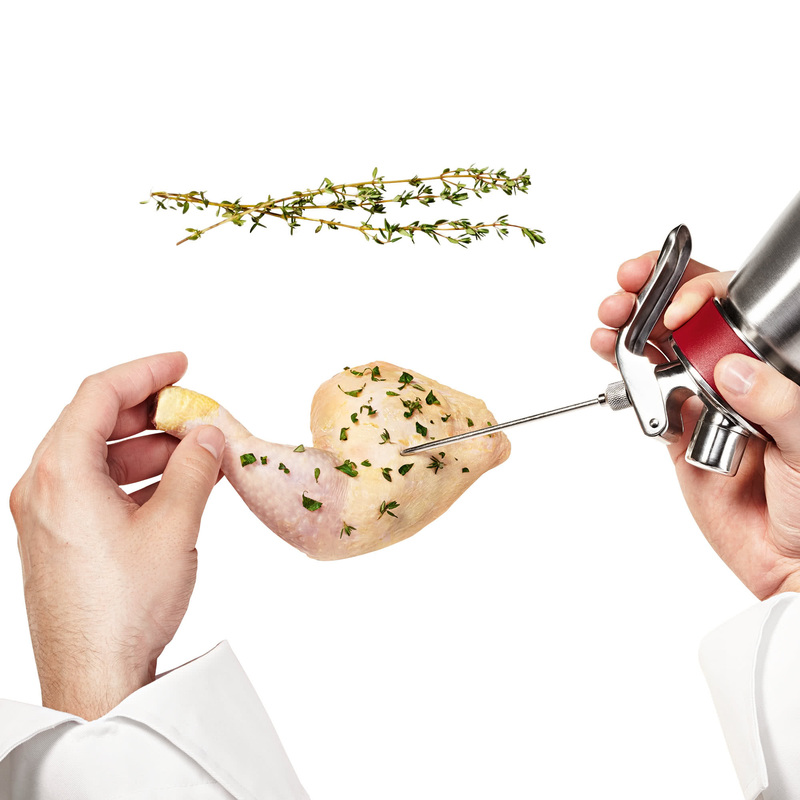 Use your imagination to push your cooking to a new level.